Global warming and climate change have become recent hot topics of debate, amidst our current political situations. Renewable energy, furthermore, is on the rise and receiving quite a bit of well-deserved attention. As technology becomes more advanced and the cost of implementing renewable energy sources goes down, it isn’t a total fallacy that renewable energy will become the world’s primary source of power within a few years. 2019 is a promising year for renewable energy, as countless industry experts will agree. 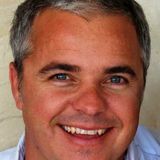 Here is a selection of TED Talk videos which highlight some of the most exciting and innovative aspects of renewable energy to come this year! Making the Shift to Clean Energy The man who started the Freeing Energy Project, Bill Nussey speaks about establishing electricity markets which are completely driven by consumers by using renewable resources. Nussey brings forth an idea of bringing the cost of solar energy down by producing an abundance of solar panels, batteries, and other tools to harness the sunâ&#x20AC;&#x2122;s endless energy. He advises advocates of clean energy to invest in renewable resources as a means of normalizing related products and, therefore, driving down their costs. Batteries Not Included As a TEDx Speaker and a futurist featured in Forbesâ&#x20AC;&#x2122; 30 Under 30 list, Marek Kubik focuses on the importance of energy storing technology and how it is changing how we generate electricity through renewable resources. Kubik supports the fact that wind and solar energy are becoming some of the cheapest sources of electricity around the world, stressing a need for proper storage of such power in order to sustain life in an environmentally friendly manner. Global Energy Transition Justin Locke, the director of the Islands Energy Program of the Rocky Mountain Institute, explains the role of small islands in developing renewable energy solutions to transform how we generate power. Locke claims that small islands are now combating climate change, where they once were victims of colonization and occupation. THE POTENTIAL BENEFITS OF OFF-GRID SOLAR ENERGY Amar Inamdar, who works closely with various businesses in order to address social and environmental dilemmas, describes the processes of decentralization and improving infrastructure to change the market for energy and help the environment. Inamdar emphasizes the importance of easily accessible, renewable energy for all and building solar energy grids. 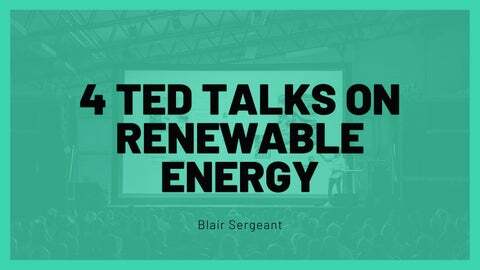 Blair Sergeant shares his favorite Ted Talks on renewable energy.